It is the accessory that ignited a firestorm. When King David Victory Park’s (A Jewish high school in Johannesburg, South Africa) Deputy Head Boy, Josh Broomberg, donned a Palestinian scarf, it ignited a storm and outpouring of emotions and opinion I have seldom seen on other more serious issues. It must be mentioned that Broomberg is captain of South Africa’s National Debating Team. While I apologise for the hurt we seem to have caused, I do not apologise for standing with Palestine on this issue. This is not because I do not believe in Israel or its people. I do believe in Israel, and I take this stand because I can love and support the state of Israel but still reject and criticize some of its actions. In fact, I consider it my duty to contribute to the growing worldwide discussion surrounding the desperate need for a quick end and lasting solution to this pernicious conflict. In my eyes, this criticism is not a betrayal, but actually the only honest and true way to show my patriotism and commitment to Israel, as well as my belief in human rights and the entitlement of all citizens of all countries to those right. To improve, we must criticise. The same student has a history of criticism of Israel including accusing a speaker at Yom Hazikaron who was a first responder to the Park Hotel massacre in Netanya as “photoshopping the pictures as an account of the Israeli Government”. 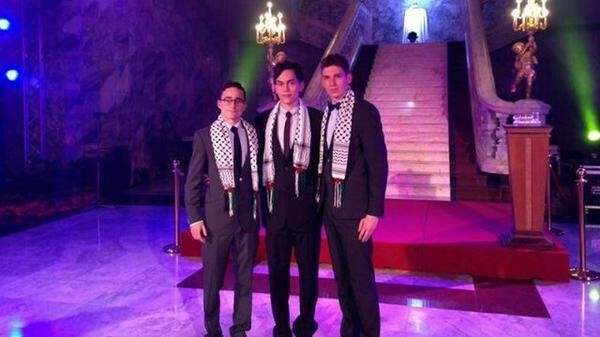 Wearing the Palestinian scarf makes a very strong political statement. 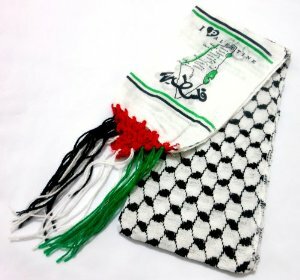 The scarf is not a symbol of “humanity” and the map of Palestine “from the river to the sea” pictured on the garment will attest to that. “Scarfgate” as you can well imagine, created a lot of controversy. A petition was started calling for Broomberg to be stripped of his honours as he had signed a code of conduct detailing how he should represent the school. Unfortunately not only did this action bring out the worst in some who hurled vile insults at the 18 year old and attention from the press, salivating at yet another Jewish/Israel focused story they could trot out on the front pages of newspapers, online publications and of course radio and television but has also seen members of the community turn on each other. Once again the media microscope is on the Jewish community who are already exhausted with a biased media coverage that is seeping with venom. We can debate the issues around this ad infinitum and everybody has but is this an isolated incident or symptomatic of a greater problem? Who is responsible for the Zionist education of our youth? Is it the school? The youth movements? The parents? Have we failed as Zionist educators? Have we prepared our youth enough to face a world that is growing more and more hostile towards Jews by the day? I don’t know if I would like to be a teenager or university student right now and for those who are making the case for Israel on campuses around the world, I salute you. You are lions! University campuses, once the bastions of free speech and debate, have become battlefields and many young Jewish students prefer to go unnoticed rather than wear their identities proudly. It is not because they don’t feel connected, it is because they fear for their safety. What about the student that considers him/herself Zionist but may have a contrary opinion to the establishment? Is there enough room in the tent to accommodate debate? Ironically, Israelis have never met a debate or discussion they did not like. It is our national sport and one we take great pride in. It is healthy, democratic and good for the blood pressure to get your concerns off your chest. Above all, we don’t take it personally if we agree to disagree. Why is this something foreign to others? In my recent experience interacting with students many have expressed that there are no safe spaces for debate, may expressed that they feel increasingly isolated. Many feel that they have to do something radical to start a discussion and instead of a healthy riposte they are castigated, cast out, ostracized. Opponents on the other side are standing waiting with open arms to welcome them. Are we losing some of our children because of our reluctance to listen? Does the fault lie with us? For many of our youth, the old ideals of Zionism are not relevant today. Israel is a successful thriving country and they tend to see all conflicts and issues wrapped up in the language of human rights. We who are educated with the facts need to listen and respond in a way that takes cognizance of their concerns. We need to dialogue with our youth. This means listening carefully to what each other has to say. In my opinion, Scarfgate has brought an uncomfortable wound to the surface that needs to be healed. Don’t let us get to the point where we wonder where have all the flowers gone? The summer in Israel started out all about the Rolling Stones and Justin Timberlake, start-up acquisitions and celebrity spotting. And then it all changed. 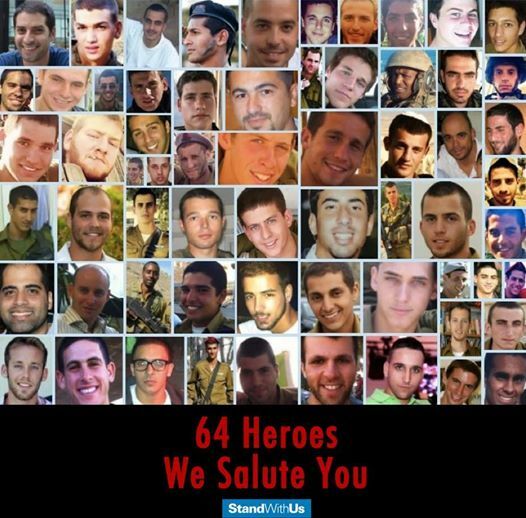 This past month and a half has probably been one of the most traumatic and difficult in Israel’s recent history. We hoped with all our hearts for the safe return of our three kidnapped boys and then wept with untold grief as we mourned their brutal slayings. We were plunged into war by a ruthless and relentless enemy, who hold both their civilians and us hostage with their terrorist intentions. 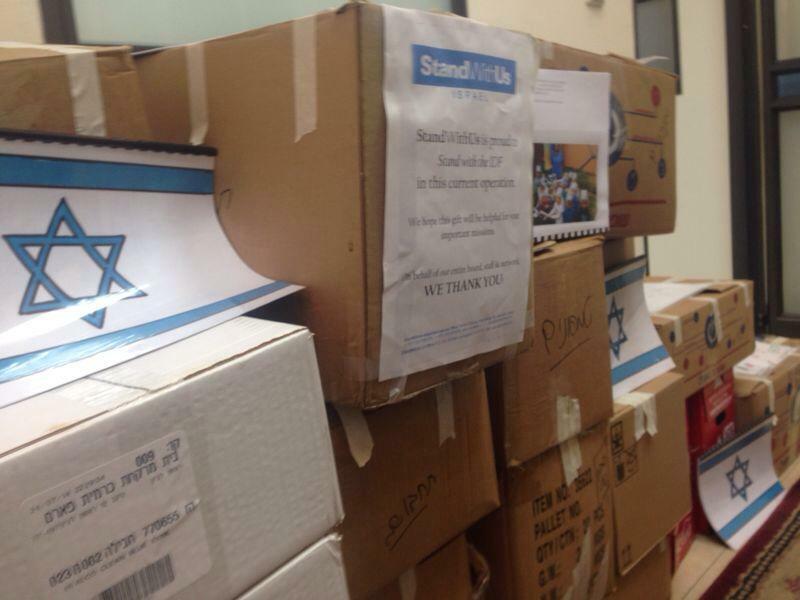 But Israel, despite all that she is enduring, is standing tall. I am in awe at my fellow citizens and the calm and proactive way everyone is handling this situation. Instead of cowering or spewing hate invective, we have adopted a “all hands on deck” approach and everyone is doing their bit to help each other and our soldiers. Every citizen wants to show our soldiers our gratitude for their service, for fighting for our freedom and defending our beloved country. Each soldier is our child and the least we can do is show our appreciation. We have cooked tens of thousands of meals, bought out entire stocks of underwear, deodorant and every conceivable thing a soldier (and a well fed army) would possibly need. We have converged on hospitals to visit our injured soldiers, bearing cards, gifts and of course, food. We have made our lone soldiers part of our collective family, doting over these brave warriors who come to serve and don’t have the families here to support them. Children from as far as South Africa have joined our in drawing pictures and making cards, and our bereaved families have been held tenderly in our collective arms as we hold them through their grief. We have formed prayer chains and vigils, evacuated terrified citizens from Southern communities and gently tried to coax children out of shelters. We know that the massive task of post-traumatic stress management will start as soon as this operation is over and to organisations like WIZO who are standing by to listen and love, we thank you. And we have lined the roads to bury our fallen warriors. Just when I thought I could cry no more, the loss of another brave son tears a fresh wound. Thousands have attended funerals to accompany our warriors to their eternal rest. We may not have known them personally but our love for them and our deepest gratitude at their sacrifice overrides acquaintanceship. May their memories forever be blessed. Loss of our brave young warriors is almost too much to bear. Their handsome, vibrant faces, filled with the promise of life haunt me as I know that they were cut down in their prime, defending our country and our freedom. From a grateful and heartbroken nation, we thank you. We know that what happens in our neighbourhood impacts on our Diaspora communities, many of whom are facing a tsunami of anti-Semitism we have not seen since the 1930’s. Please know that we stand shoulder to shoulder with you and your love gives us strength. We have faced a barrage of bias from the international media who in my opinion are complicit in civilians casualties as their skewed facts give impetus to the grotesque Hamas death factory of human shields. And they are complicit in flaming the fires of anti-Semitism. This tiny country who has faced wars and intifada, calls for boycott and slander by people delirious with hatred stands heads and shoulders above the rest. My beautiful country and your inspiring citizens, you have demonstrated dignity and grace and they can sling their arrows of venom towards us but we will never be broken. Our strength is each other, our faith unbreakable. We punch above our weight in every sense of the word. As we observe Tisha B’Av and the countless tragedies we have endured, let us remember the rallying cry that has helped us triumph over centuries of tragedy – AM YISRAEL CHAI.